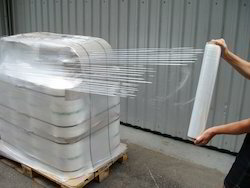 With sincerity and hard work of our professionals, we have carved a niche for ourselves in this domain by offering Shrink Films POF that are used in various industries and other allied sectors. The provided shrink films are designed using utmost quality raw material and modern technology by our experienced professionals in sync with set industry norms. Furthermore, we offer these shrink films in various sizes and designs to our esteemed clients. 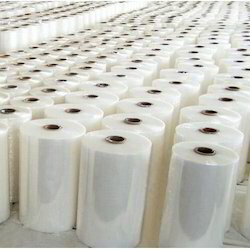 We take pleasure to introduce ourselves as one of the renowned manufacturer and supplier of premium quality Stretch Films for Packaging that are used in various industries. Under the supervision of our adept professional, these stretch films are designed using the finest quality basic material and cutting edge technology in line with set industry norms. The provided stretch films are sternly tested by our quality examiners in varied parameters in order to ensure its quality. Looking for Srink Films ?